AgeMatch is a dating website primarily dedicated to connecting seasoned men with younger women. It was launched back in 2001, which makes it one of the oldest age gap dating websites on the market. It also caters to older women looking for youthful men. Whether you are searching for a young and vibrant girlfriend or a mature and financially stable gentleman who will pamper and spoil you, keep reading our honest AgeMatch review to learn all about its essential features and how to use them to your benefit. AgeMatch is a very simple website, which makes it ideal for online dating beginners who will not get confused with overly complicated menus and cryptic user settings. In order to join the vast AgeMatch online community, you will first have to create your personal account, which only takes a couple of minutes. You will be prompted to provide some basic personal data, including your gender, age, country/town, and ideally, a few words about yourself. The homepage also features a link to download the dedicated Android app from Google Play as well as a bit more information about the service and a helpful blog you should definitely take a look at if this is your first time ever on a dating website. 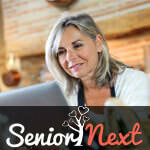 As we already mentioned in this AgeMatch review, the site features a simple and user-friendly design. This is perfect for beginners who are not yet sure what online dating entails and who might even be a bit timid to give it a try. Since AgeMatch is primarily designed for older men looking for younger women, the designers opted for a combination of navy blue on white, which gives it a soothing tone with a touch of elegance. Once you are on the site, you will be greeted by smiling faces of individuals who started out just like you and used AgeMatch to find friends, lovers, sugar daddies or even future spouses. When it comes to functionality, the site is extremely easy to use and completely bug-free. All SuccessfulMatch dating websites follow the same freemium model with the same set of features for standard and premium (or gold) members. 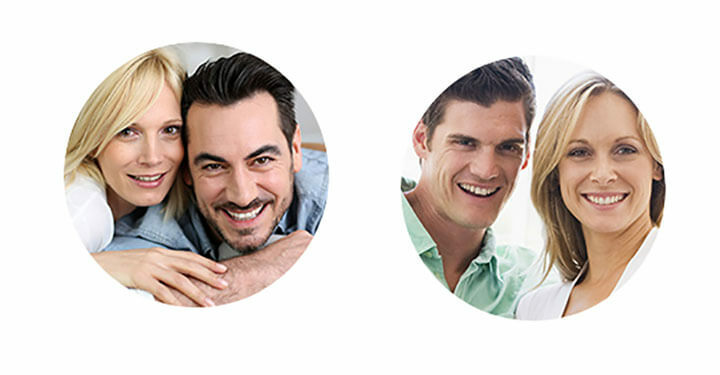 When you create your personal account on the platform, you will automatically become a standard AgeMatch Member. This will allow you to create your profile with up to 26 photos, search for potential matches by country/state, create favorites lists, and send unlimited winks. You will receive notifications if somebody adds you to their favorites list, sends you a message or winks at you. Finally, you will also get to respond to private messages sent to you by premium members. If you decide to go premium, you will be able to initiate private conversations or online chatting, create wink and email filters, set security options for your profile and photos, view reverse and compatible matches and last login times, and search for members by advanced search criteria. Apart from these general features, AgeMatch allows you to interact with other members of the virtual community to share experiences, first date ideas or even meet in person. One of the top advantages of going premium is the fact that your profile will be added to the top-lists of search results and you will also get priority customer support. If you prefer to communicate with other members using your web camera, AgeMatch will, unfortunately, disappoint you since the service does not offer any type of video-based communication. As we already stated at the very beginning of this AgeMatch review, the site was launched way back in 2001, which means it comes with a wide variety of members from all over the world. However, most of the members are located in the US. Age gap dating websites usually have some age limitations set in place in order to guarantee that their membership follows the rules of the niche. AgeMatch has no restrictions, so you can expect to find members of all ages. AgeMatch does not exactly tell us how many registered members it currently has or how many of them are active on a regular basis, but with 18 years in the business, its membership is more than solid. Although there are many age gap dating sites out there, AgeMatch simply stands out from the crowd thanks to its functional simplicity and user-friendly features. You can join the website and start using it without giving a penny and upgrade later if you so choose. The most important thing, however, is that the platform gives you the opportunity to explore its service and member base before charging you anything. 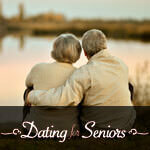 Bottom line, AgeMatch has everything you would expect to see in a top-tier dating site. It is very easy to navigate with logically-implemented features, which has enabled it to become one of the leading age gap dating websites in the modern online dating industry. Although it might not appear so at first, agematch is also great for older women who want to find themselves a younger man. Great dating site with a bucnh of members and quite a few girls willing to party. I’m still waiting for them to give us some video tools though.